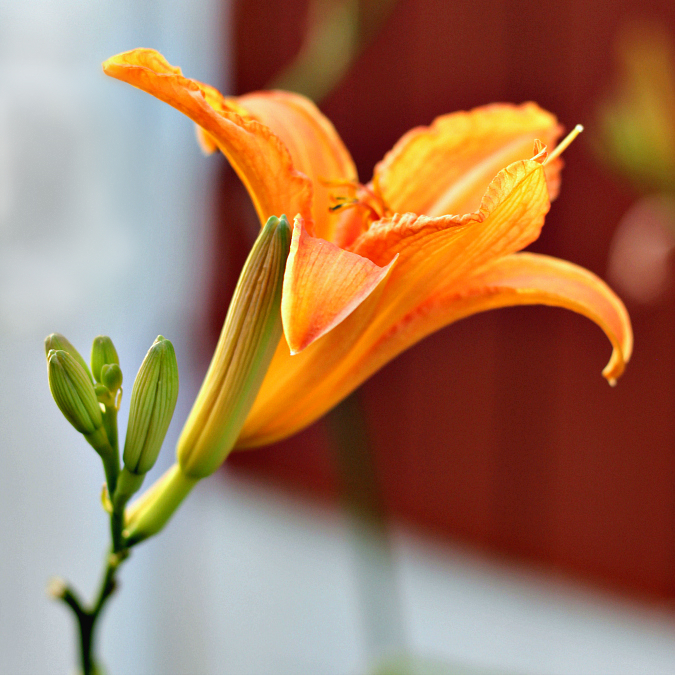 we have a huge patch of beautiful orange tiger lilies along the side of our back porch. i absolutely love tiger lilies, so i really enjoy looking out every day and seeing them right there. tiger lily season is slowly coming to a close, and there are only a few flowers remaining. i'm trying to soak it up as much tiger lily viewing as i can before they are gone for the year. tomorrow is national dance day! to celebrate, my dance studio is joining forces with another local dance studio to perform a flash mob tomorrow afternoon at a local art festival downtown. i've never been a part of a flash mob before, so this should be fun! I have always loved tiger lilies. Growing up there were huge patches of tiger lilies on the sides of the roads and I always looked for them as my dad was driving. Who knew that someday these flowers would be in your wedding and represent so many things. In my opinion, life has foreshadowing just as books and movies have. This is a beautiful photo of the lily. I love them, too. I always looked forward to seeing them along the roads in July.